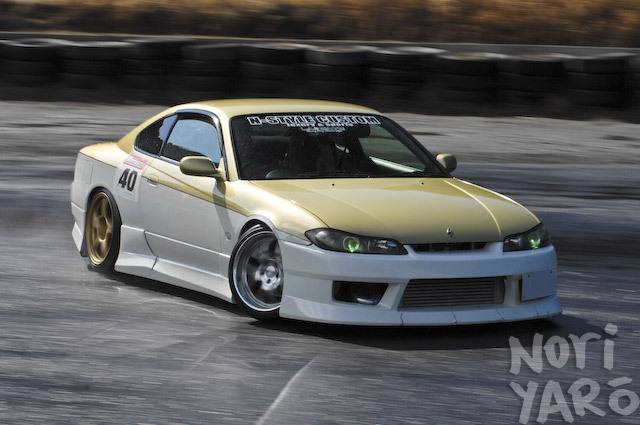 Enjoy some pics of this nicely-done S15 Silvia seen at the recent FLUKE soukoukai at Nikko Circuit. I rode in this car. Watch the video. 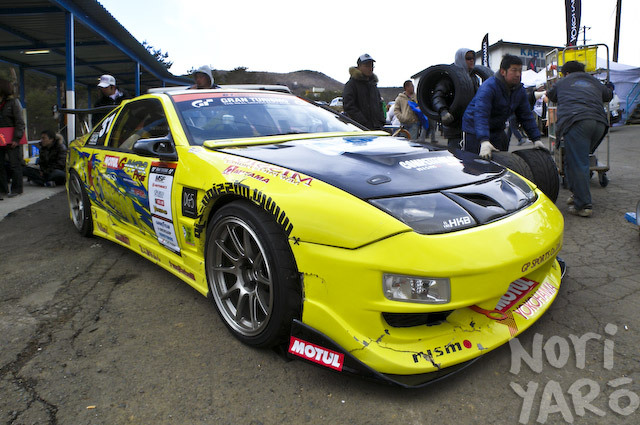 When we were at Mizunami Circuit the other day, I noticed that NOB rolled in with a car that looked like his Vertex Ridge-kitted 180SX, but in black instead of red. 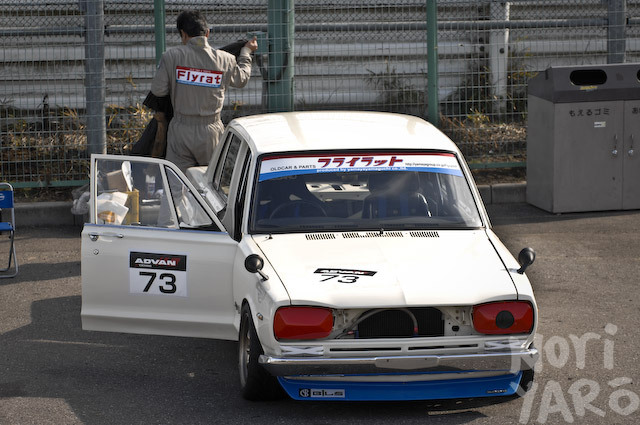 Turns out someone had rear-ended him, and the panelbeater had suggested repainting the whole car with something new, so NOB decided on “makkuro”, or “pitch black”. 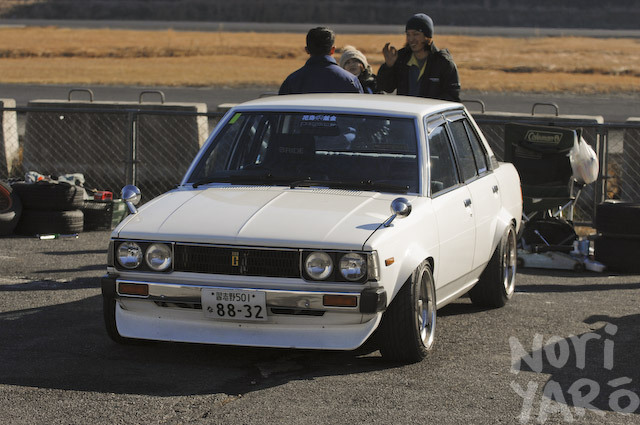 Flyrat is a workshop that specialises in all kinds of kyusha maintainence, restoration and modification, so it wasn’t surprising to see their demo car being thrashed around Tsukuba Circuit. Driving it was the shop’s boss, Yamaya, who was quite amused by how much a foreigner like me liked the look of his car. Flyrat isn’t too much of a drive from here, so I might line up a shop visit next time I’m in the area. Oooh, AE86 people aren’t going to like that title. KE70 people are going to love these photos though. 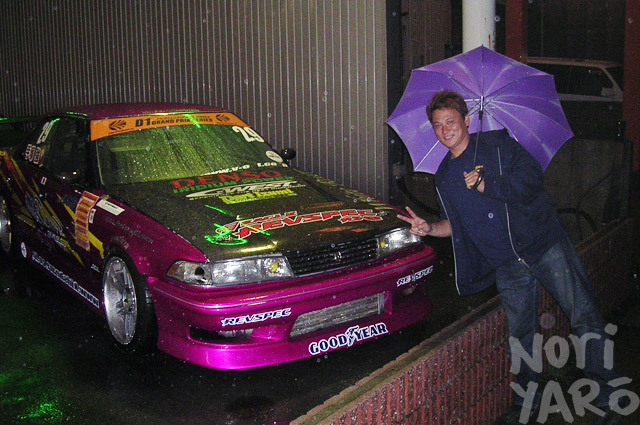 I took this photo back in 2005 on a trip to Japan with the Ben Ellis, the editor of the long defunct and much missed Drift Battle magazine (wow, I can’t believe that website is still up! ), and Team Peer’s Darren Appleton. We made a late-night visit to Kids Heart one day because it was on the way back home from Tezuka’s favourite ramen restaurant, if I recall correctly. Isn’t he a happy chappy with his purple umbrella? I think the car just sitting up the front as an attention-getter while waiting to have the blown engine replaced. Tezuka was driving the Bee-R R324 by this time, so there was no real rush to fix it. Think an interview might be a good idea the next time I see him? 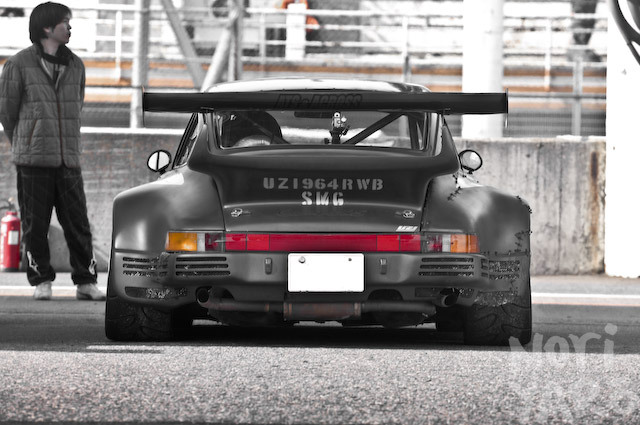 Rauh Welt Begriff customer Porsche 964. 3.8L, naturally aspirated, 57 seconds around Tsukuba, zipties and Uzi stencils. 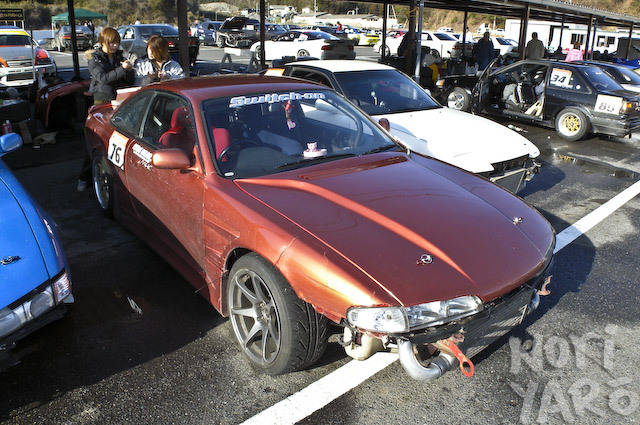 These two friends from Shimane Prefecture own cars that look good and are drifted constantly. Pay attention. This is the right way to do things. Here’s an 86 with all the right touches.